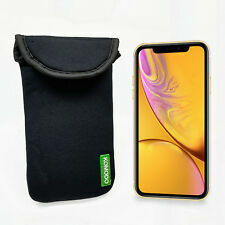 IPhone XR Neoprene case. iPhone & iPad Gadgets (3). Form-fitting, soft neoprene construction. Ending Soon. Neoprene sleeve is flexible and versatile. TV Wall Brackets (20). Whether you carry it as a stand-alone case or place it inside your favourite bag, this sleeve provides exceptional protection with a simple stylish design. IPhone XS Max Neoprene case. iPhone & iPad Gadgets (3). Form-fitting, soft neoprene construction. Ending Soon. Neoprene sleeve is flexible and versatile. TV Wall Brackets (20). Whether you carry it as a stand-alone case or place it inside your favourite bag, this sleeve provides exceptional protection with a simple stylish design. IPhone & iPad Gadgets (3). Form-fitting, soft neoprene construction. Ending Soon. Neoprene sleeve is flexible and versatile. TV Wall Brackets (20). Whether you carry it as a stand-alone case or place it inside your favourite bag, this sleeve provides exceptional protection with a simple stylish design. 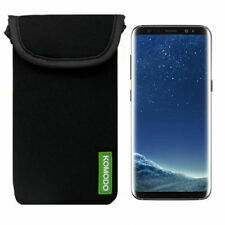 Samsung Galaxy s8 Neoprene Case. Neoprene sleeve is flexible and versatile. Ending Soon. TV Wall Brackets (20). Whether you carry it as a stand-alone case or place it inside your favourite bag, this sleeve provides exceptional protection with a simple stylish design. Want an easy-peasy way to keep your phone protected from scratches, dust and smudges?. It doesn’t get any easier than slipping it into this simple and cozy, elastic textile sock that fits most devices snuggly. Type: Universal Sock. Want an easy-peasy way to keep your phone protected from scratches, dust and smudges?. It doesn't get any easier than slipping it into this simple and cozy, elastic textile sock that fits most devices snuggly. 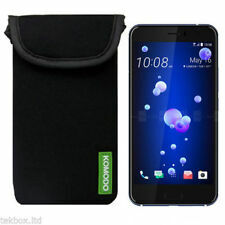 HTC U11 NEOprene Case. Form-fitting, soft neoprene construction. Ending Soon. Neoprene sleeve is flexible and versatile. TV Wall Brackets (20). Whether you carry it as a stand-alone case or place it inside your favourite bag, this sleeve provides exceptional protection with a simple stylish design. Neoprene Case. Neoprene sleeve is flexible and versatile. Ending Soon. TV Wall Brackets (20). Whether you carry it as a stand-alone case or place it inside your favourite bag, this sleeve provides exceptional protection with a simple stylish design. 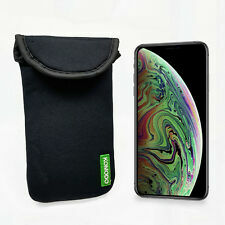 Whether you carry it as a stand-alone case or place it inside your favorite bag, this Samsung Galaxy S10 Plus sleeve provides exceptional protection with a simple, stylish design. Soft material to preserve the surface finish of your phone, and secure velcro fastening tab make this a great protection solution for your Samsung Galaxy S10 Plus. 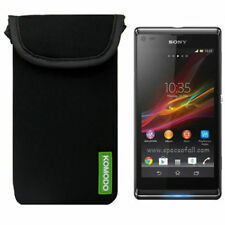 Genuine Trendz Mobile Phone MP3 Sock fashion bag Case Cover Pouch protector. The Trendz phone case range includes phone socks and hard protective cases. Nokia, Samsung, Samsung, Sony, HTC, Motorola as well as MP3 ipods and so on. Will stretch up to 130mm in length and 70mm in width so if you phone or device is smaller it will fit. Blackberry DTEK60 Black Transparent Soft Shell Case Item has been used a few times before I got another case. Still looks as new Thanks for looking! 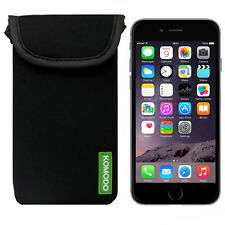 1 x iPhone Armour Case (Black Colour). NEW HEAVY DUTY COVER FOR iPHONE 4 / 4G /4S. Protect and personalize your iphone with this beautiful, high quality and very sturdy case. Layer 3: Bulit iN Screen Film With Case. IPhone XS Neoprene case. iPhone & iPad Gadgets (3). Form-fitting, soft neoprene construction. Ending Soon. Neoprene sleeve is flexible and versatile. TV Wall Brackets (20). Whether you carry it as a stand-alone case or place it inside your favourite bag, this sleeve provides exceptional protection with a simple stylish design. Form-fitting, soft neoprene construction. Ending Soon. Neoprene sleeve is flexible and versatile. 1x Neoprene Case. Whether you carry it as a stand-alone case or place it inside your favourite bag, this sleeve provides exceptional protection with a simple stylish design. Disney Minnie Mouse Phone Cover. in Stretch Fabric. with Ears and Bow Tie detail. Nokia, Samsung, Samsung, Sony, HTC, Motorola as well as MP3 ipods and so on. Will stretch up to 130mm in length and 70mm in width so if you phone or device is smaller it will fit. BLACK with Red motif. Soft suede effect pouch/sock with drawstring. Lg X Power NEOprene Case. Form-fitting, soft neoprene construction. Ending Soon. Neoprene sleeve is flexible and versatile. TV Wall Brackets (20). Whether you carry it as a stand-alone case or place it inside your favourite bag, this sleeve provides exceptional protection with a simple stylish design. An initial purpose tight fit molds to your phone ensuring that it does not fall out by accident. Not suitable for Samsung Galaxy S5 SM-G900 and other Galaxy Models. Custom made leather case for the Samsung Galaxy S5 MINI SM-G800.